Outsider Art really experienced its ‘Golden Age’ between the years of 1880 and 1930 and traditionally encompasses works created by individuals who are marginalised from society for numerous different reasons. Outsider Art is technically free from the restraints of society with many of those who are considered ‘Outsiders’ having taught themselves how to create art. Susan Hiller, in her book entitled Primitivism: Perspectives on Art, defines three categories of works that can be labelled ‘Outsider’. The first category includes any works which are produced by the clinically insane – generally within an asylum space. Secondly, the term can describe works that are created without any conscious thought, and finally, it describes works which apparently do not take anything from conventional culture, and do not give anything back to conventional culture. Art that can be described as Outsider is generally created with the absence of intention or preparation. The ‘Golden Age’ of Outsider Art which occurred between the years of 1880 and 1930 saw works by artists such as the clinically insane being collected and analysed, and, more importantly, recognised for the first time in history. More generally, this period saw a fashion for antiquarian collecting becoming more popular and a raised interest in primitivism. 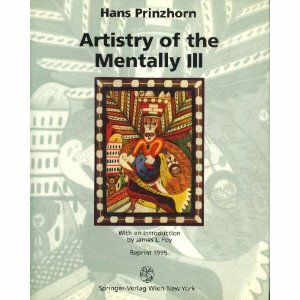 Outsider Art was seen as refreshingly original; something increasingly sought after within the art world, and it is this idea of originality that became a huge factor in Outsider Art’s influential status, with the publication of Hans Prinzhorn’s Artistry of the Mentally Ill (1922) and Walter Morgenthaler’s intricate study of Adolf Wolfli, Ein Geisteskranker also Kunstler (1921), becoming extremely influential for numerous artists and writers at the time.